Sweet guy! 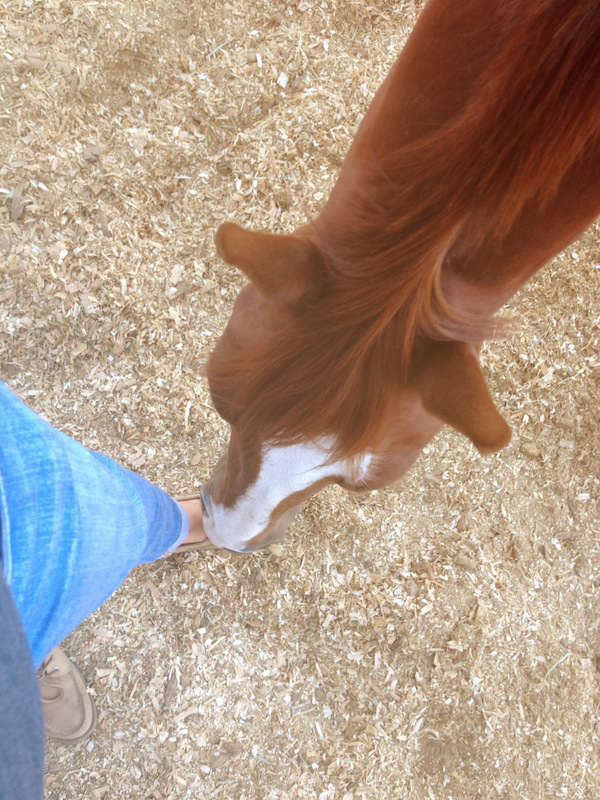 Farrier Joe said his toes were a little long and perhaps putting pressure on his heel. New shoes tomorrow. Fingers crossed for an easy fix. Taking a nib of my shoelace. Feeling a little frustrated with myself. 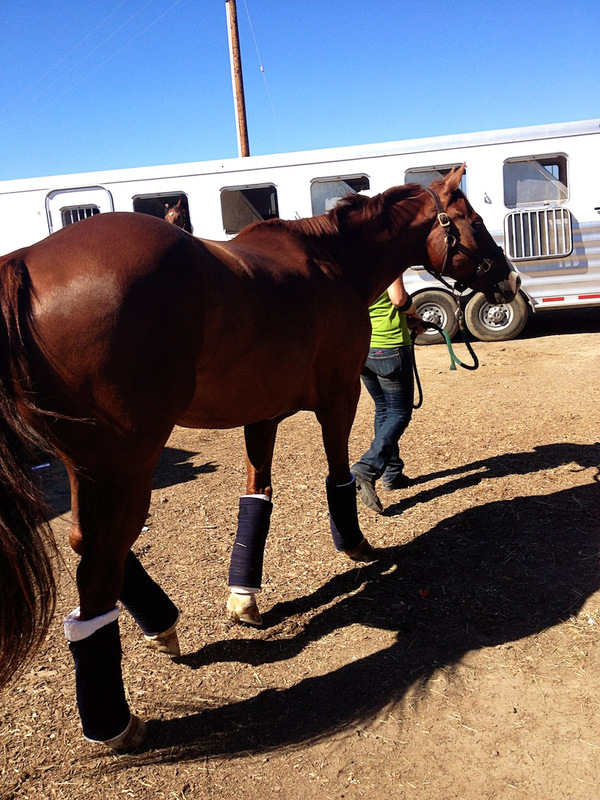 Poor baby Wilbur is a little sore on his front feet so he wasn't able to participate in the show today. 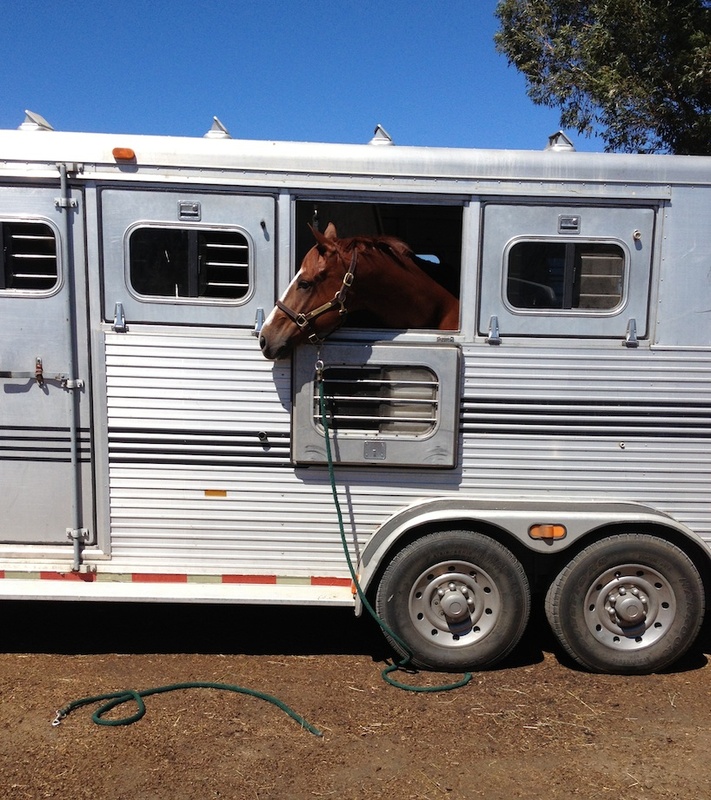 The farrier is coming out tomorrow to check his shoes but I have a feeling it's from the trailering to and from Sonoma. Crossing our fingers that whatever is going on is an easy fix (#dollarsigns). 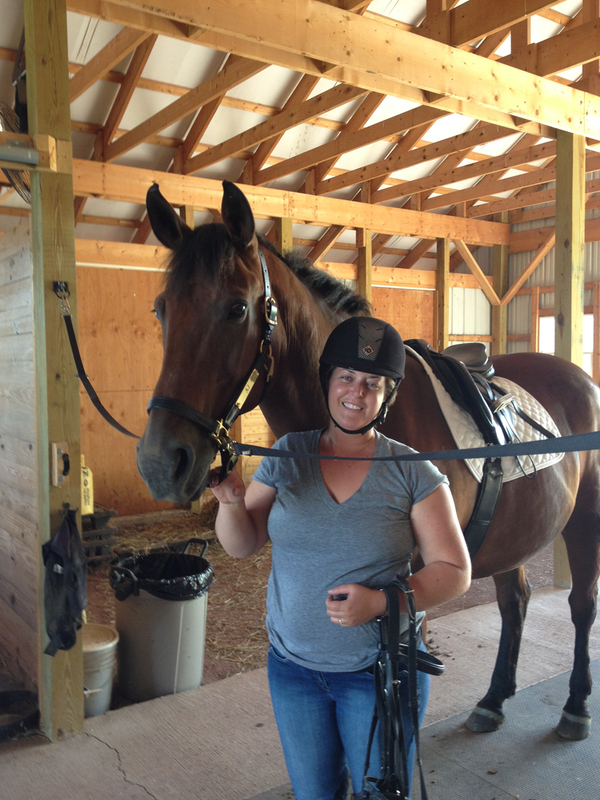 Kelly was kind enough to let me show one of her lease horses, Joe, in the cross rail division instead. 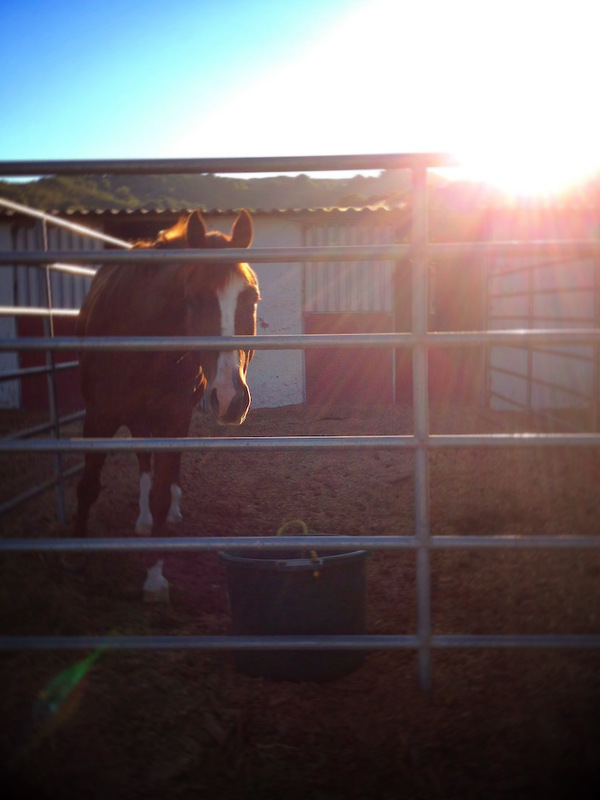 Joe is a 20+ year old retired Grand Prix horse. Crossrails. Piece of cake right? 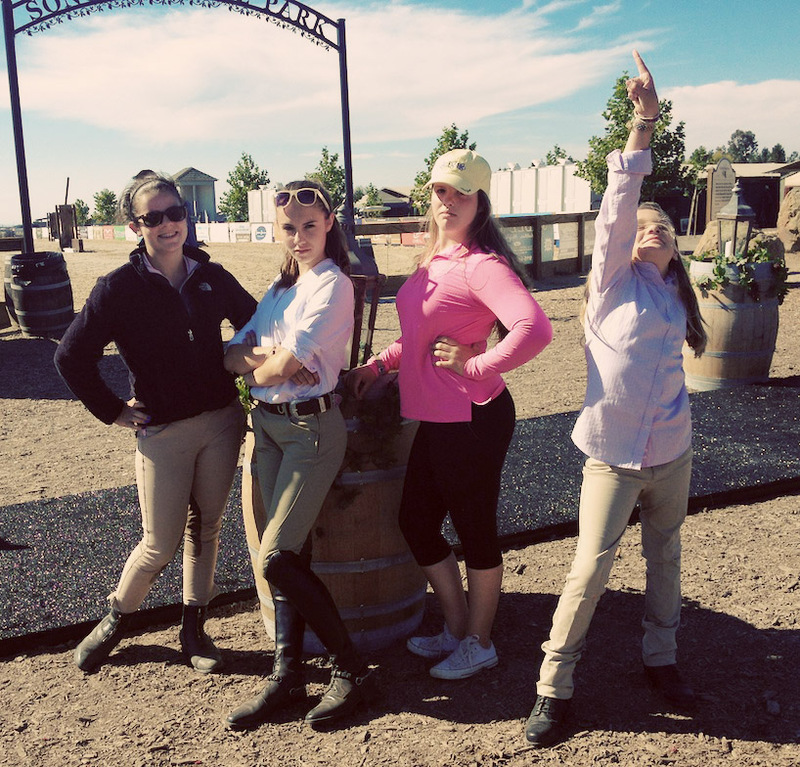 Our two under saddle classes were first before our two courses. 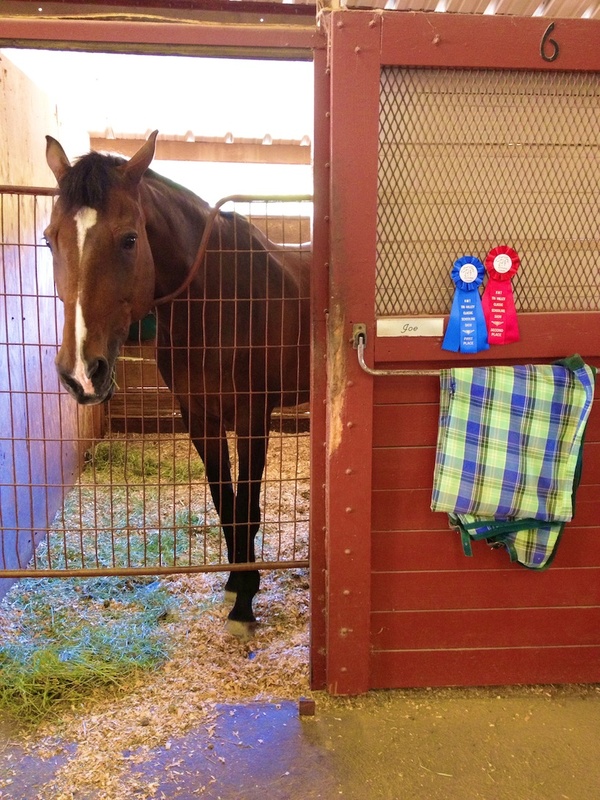 We picked up a second place in the Hunters (he picked up the wrong lead- right in front of the judge) and a first place in our equitation (judged on me! me! me!). So on to the first course. 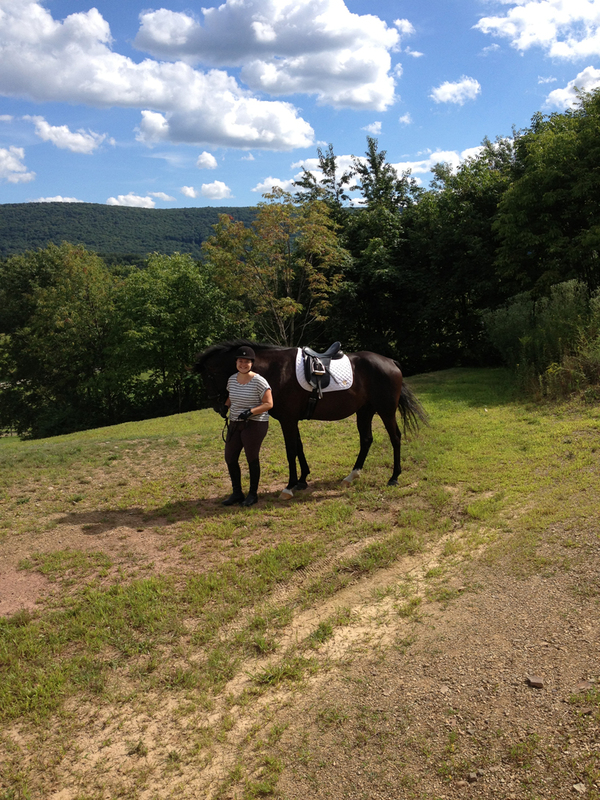 I had my plan all organized- we'd trot across the diagonal, come to a quiet walk, and pick up a nice canter. 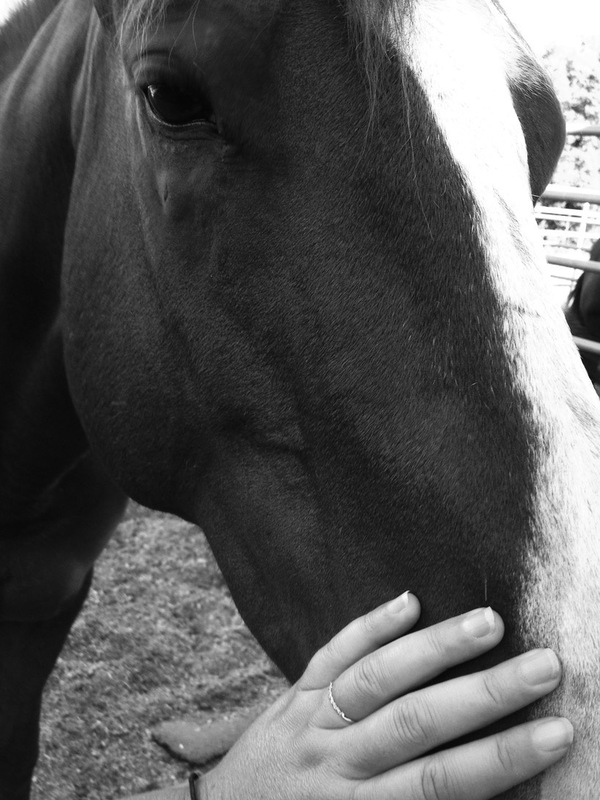 What happened was we walked into the ring, picked a a tranter (a cross between an agitated trot and a canter) and my nice transition to walk turned into a HALT while the horse waited for the damn BUZZER cause he's a JUMPER. Fine. 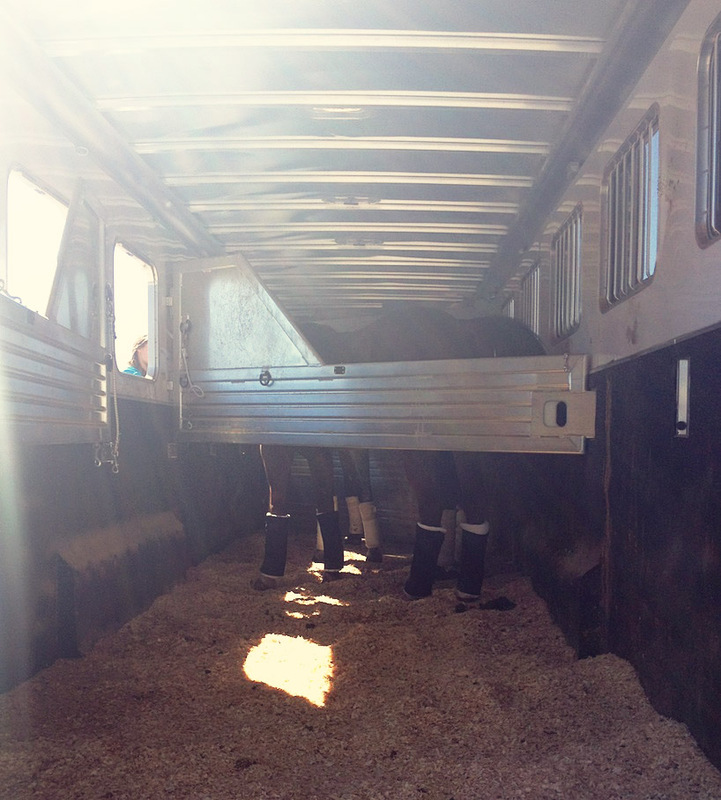 We pick up a canter and head towards our first fence- which was lovely. 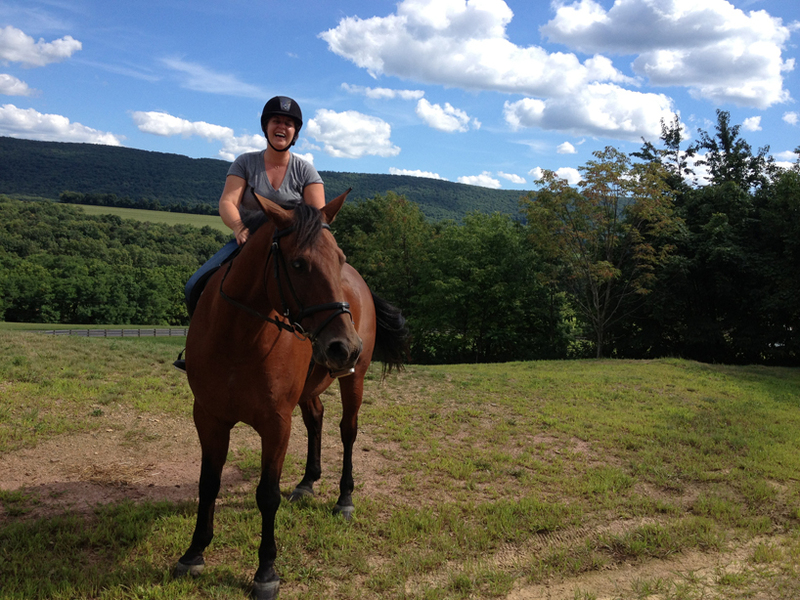 One other note about Joe is that he enjoys being ridden to the base i.e. you think the distance is there and he wants to add another stride. We get our lead change and head towards our first line. See distance? Check. Close leg? Check. Add another stride while I'm halfway up his neck? Check. Then to add insult to injury- I inadvertently say in a loud voice that carries across the ring- "SORRY." To who? The judge? Joe? Kelly? By the time we get out of the line I feel like he's going Mach Million and decide to make an unaccounted for circle while telling Kelly, who is standing outside the ring, that I'm not sure what I'm doing in here. Frankly, I don't even recall doing the second line of fences. I'm not even certain that we did. I may have pulled him up. Or I may have finished it and pulled him out of fence number 6. Whatever happened I didn't have the guts to finish the course. 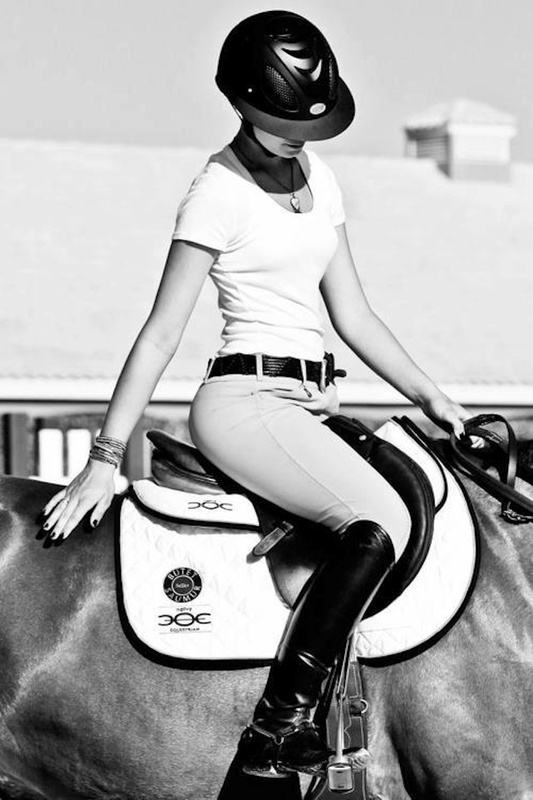 It's so funny.... the feeling of riding versus what the observer is seeing. Everyone said he looked forward but nice and thought I looked great. Ummm. So no one else saw the wild mustang with the small (haha) rider clinging to his unruly back in an effort just to stay on? 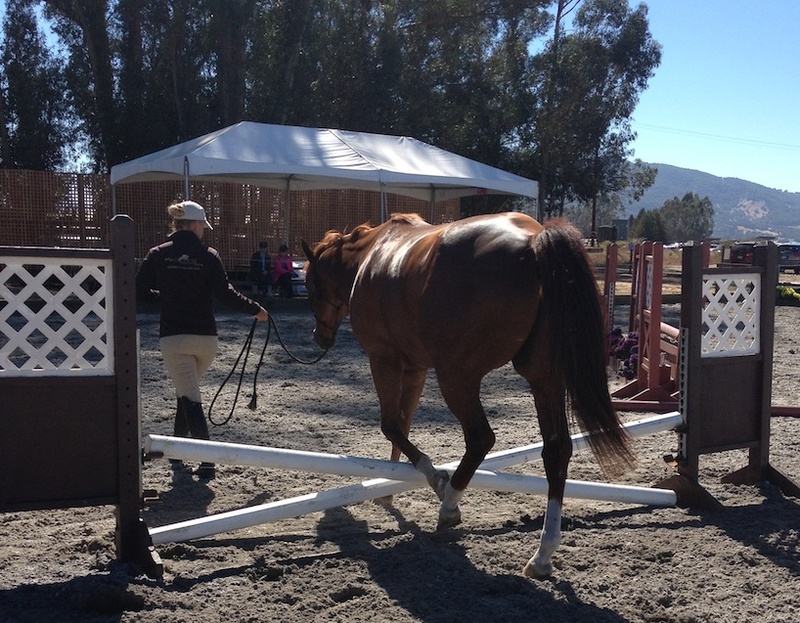 I walked over the to the warm up ring with no intention of going back for the second class. And I didn't. I'm lucky to have a wonderful friend who followed me over and talked me through the feelings with tears running down my face. And I have wonderful barnmates who gave hugs and words of encouragement. 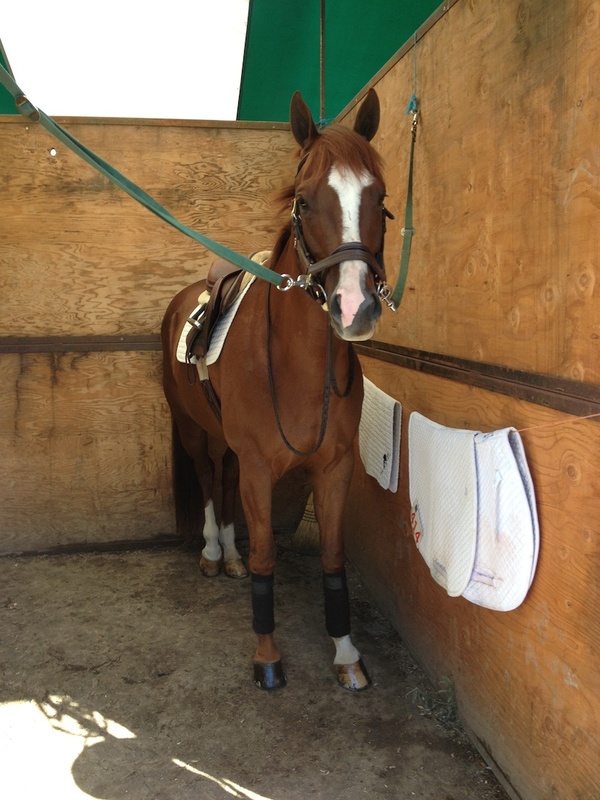 I'm a nervous rider and it's hard to get on a new horse and go around a course of jumps. But I am disappointed in myself for not finishing. 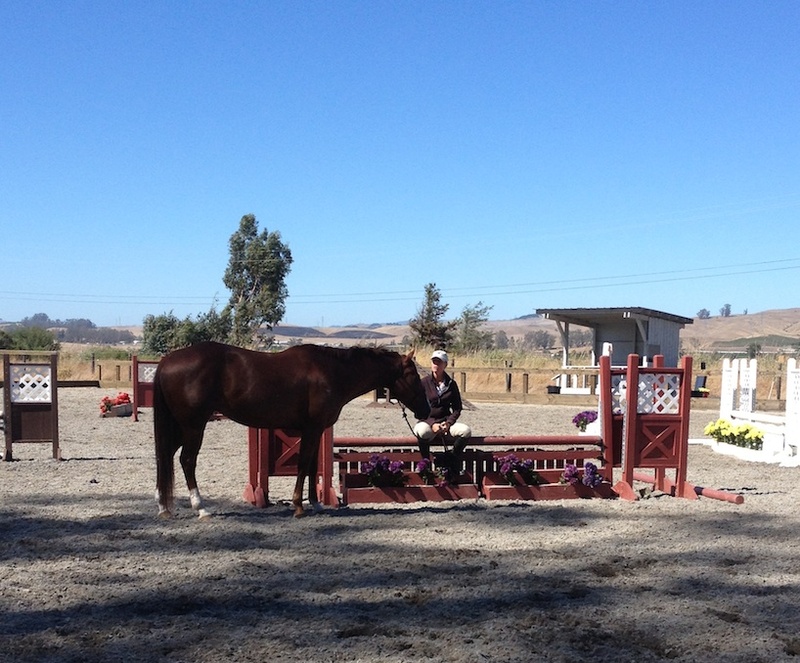 With a young horse it's all about finishing- the scary jump, the course, the exercise. So a good lesson today that I need to pull up my britches and get the job done! 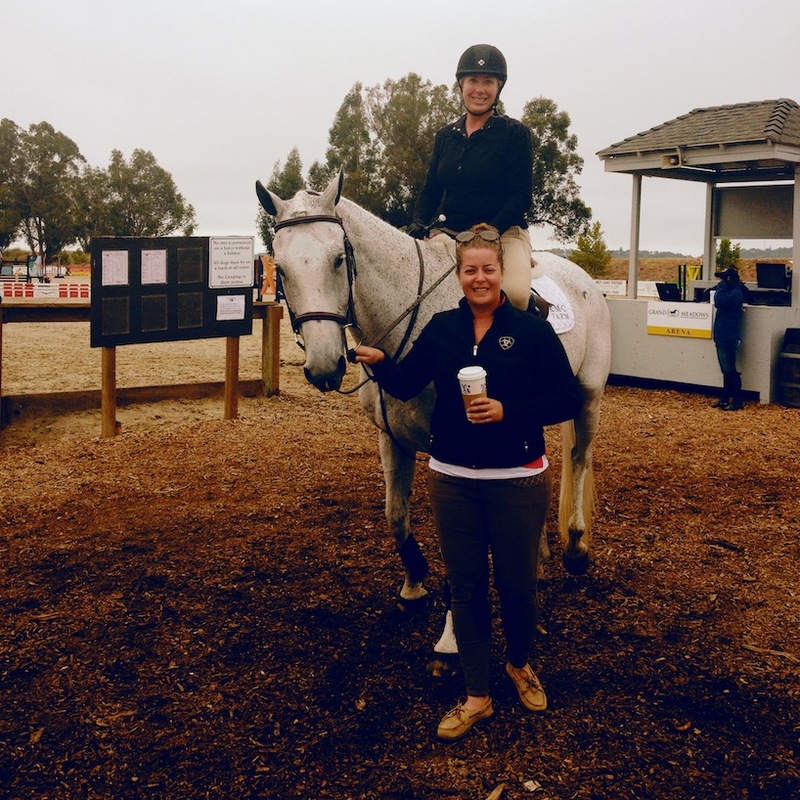 So not afraid to admit that I'm a little obsessed with Reed Kessler- a fantastic rider (and the youngest rider ever to compete in the Olympics- she turned 18 just before London). 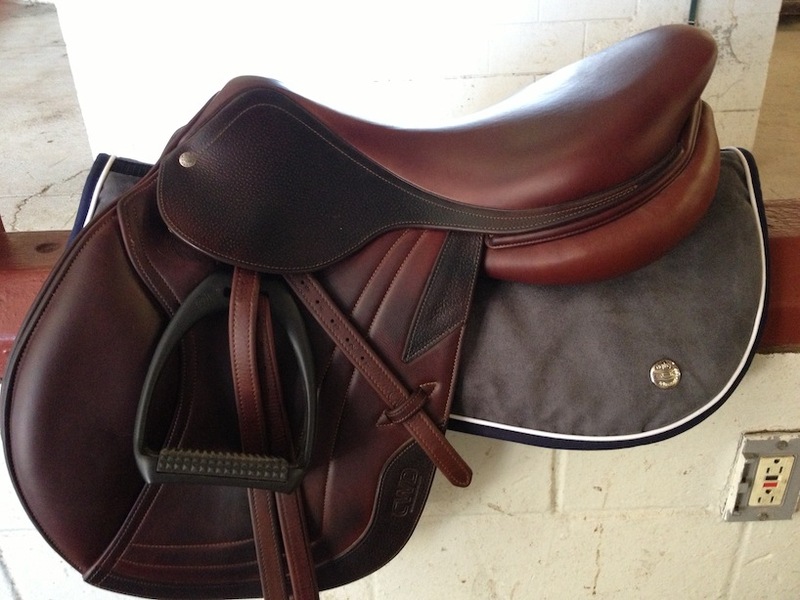 When I saw that Farm House Tack was carrying Ogilvy half pads (the very same as shown in Reed's photo)- I just had to have one! 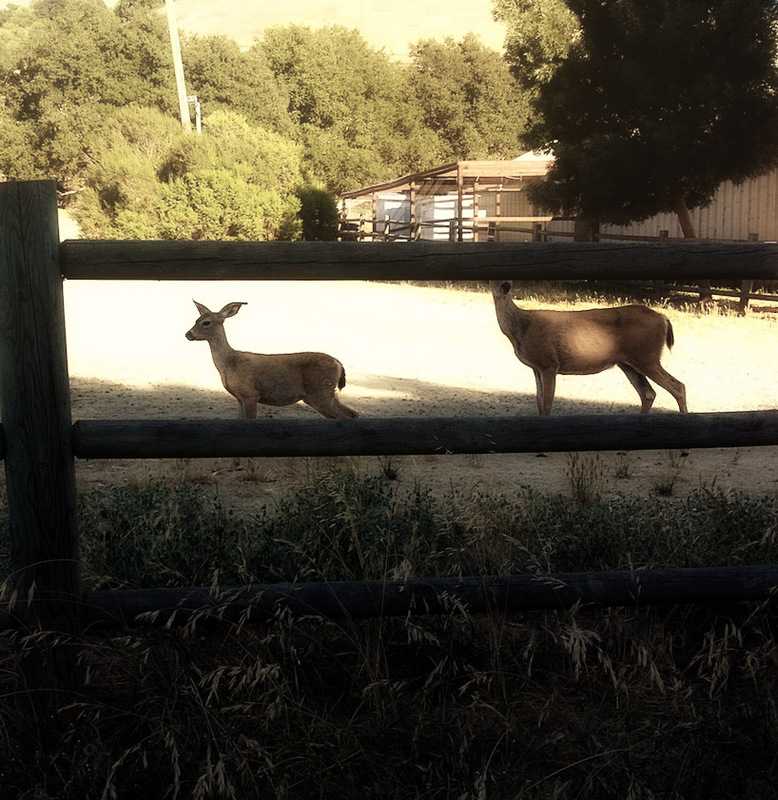 Sadly our Sonoma weekend had to come to an end- and frankly we were tired! 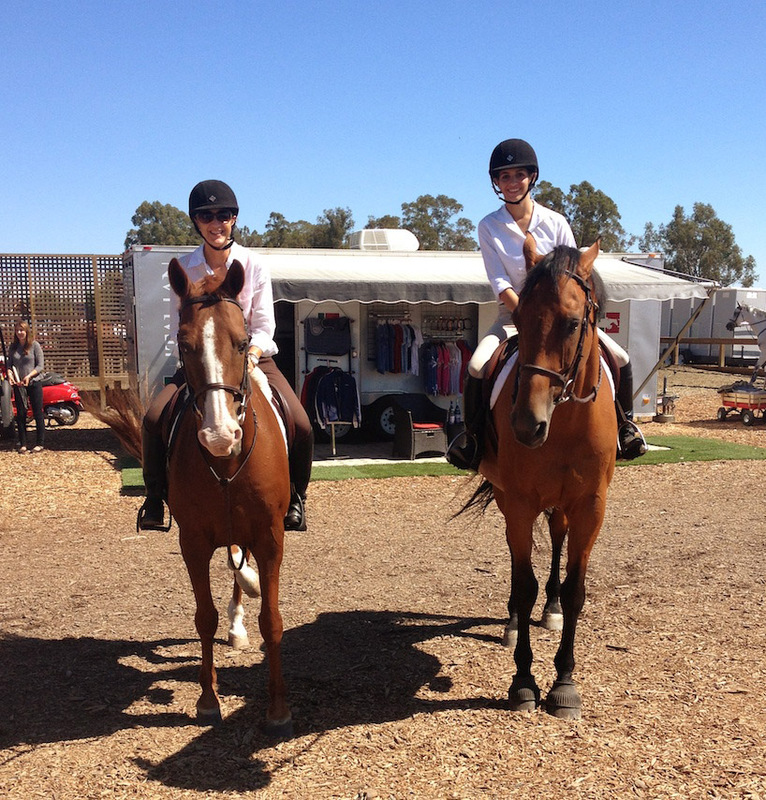 Old buddies Ben & Sophia partner up in the jumper ring! They rocked! Colleen and her Mom (Kathleen) out for a mother/daughter walk around the grounds! Team KMC! 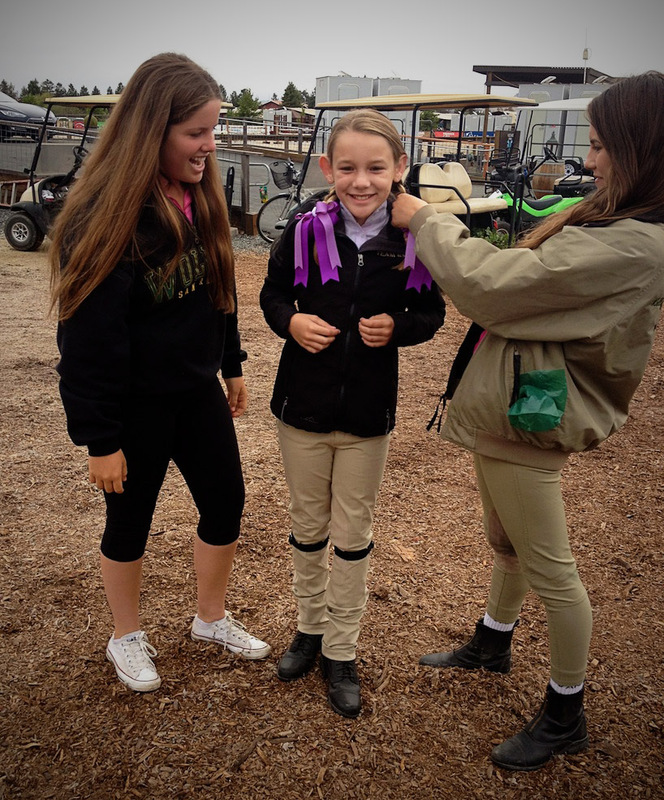 The juniors make sure that Isabel is show ring ready for her debut in the crossrails on her horse, Amour! The ladies strike a pose on the Gucci catwalk on the night of the Gala! 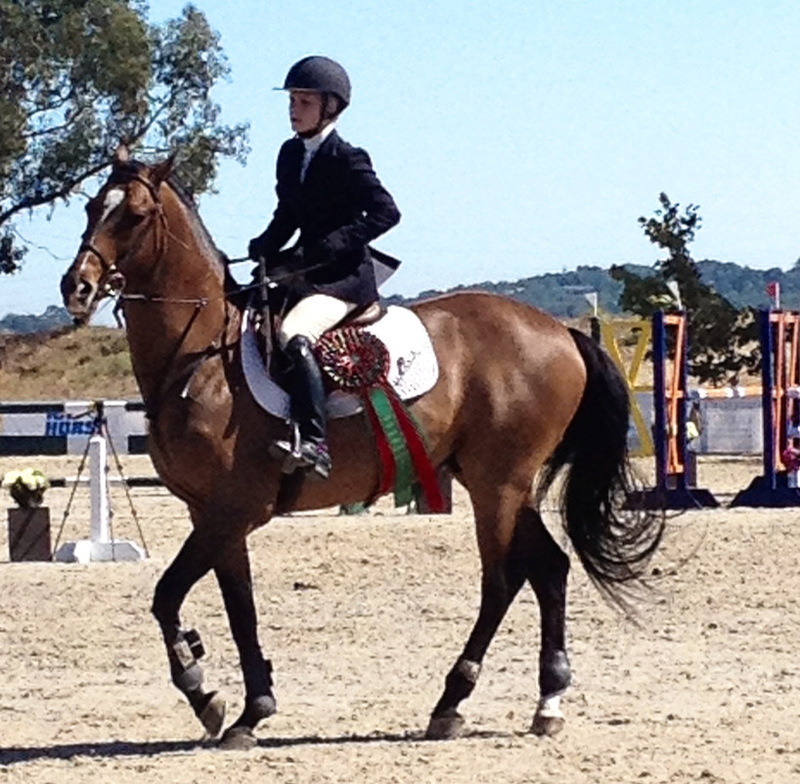 Olivia and Sensei get a coveted Gucci ribbon- she was the last rider, in the last class, in the last open ring on Sunday! Wilbur is content to hang around and look cute! 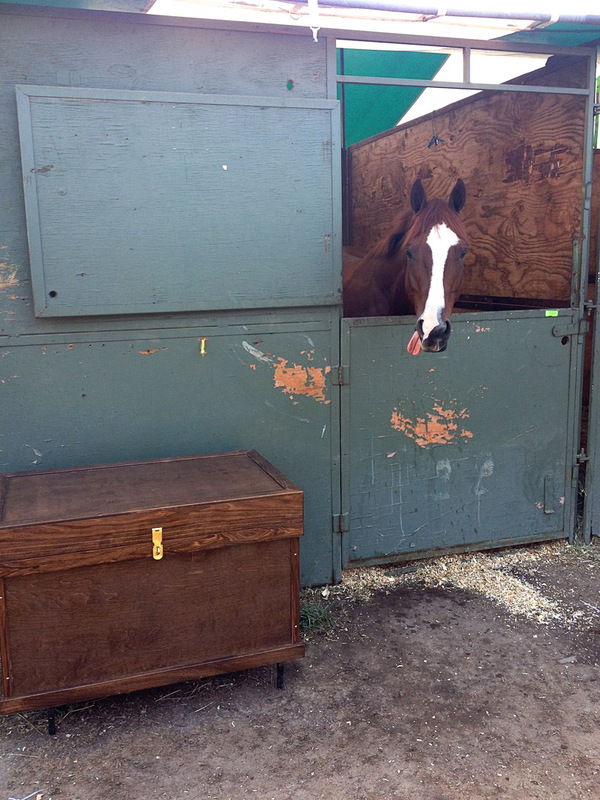 Wilbur rolled in fashionably late this afternoon to Sonoma Horse Park, his new home for the weekend while he competes in the Giant Steps Charity Horse Show. 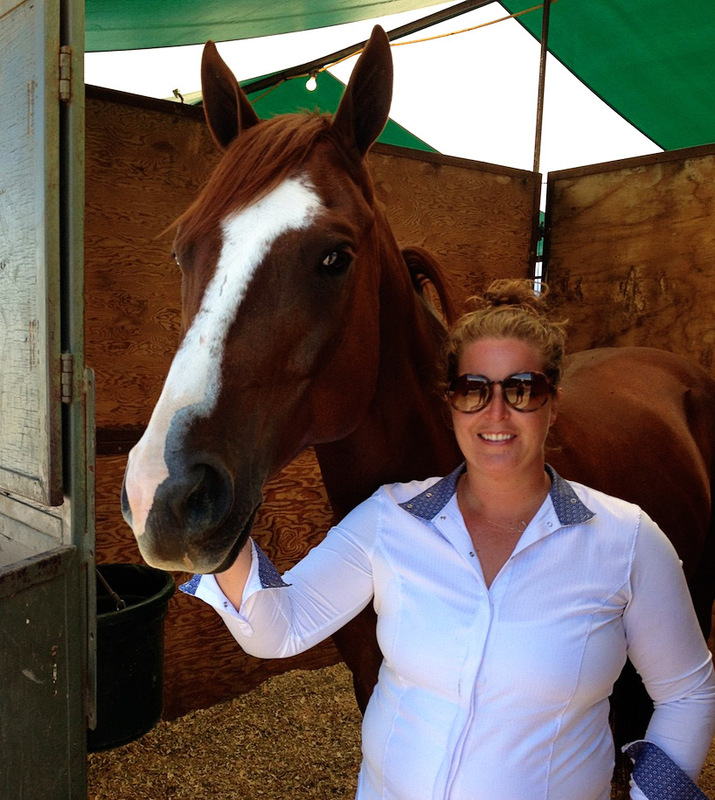 Waiting patiently for Kelly to ride him. 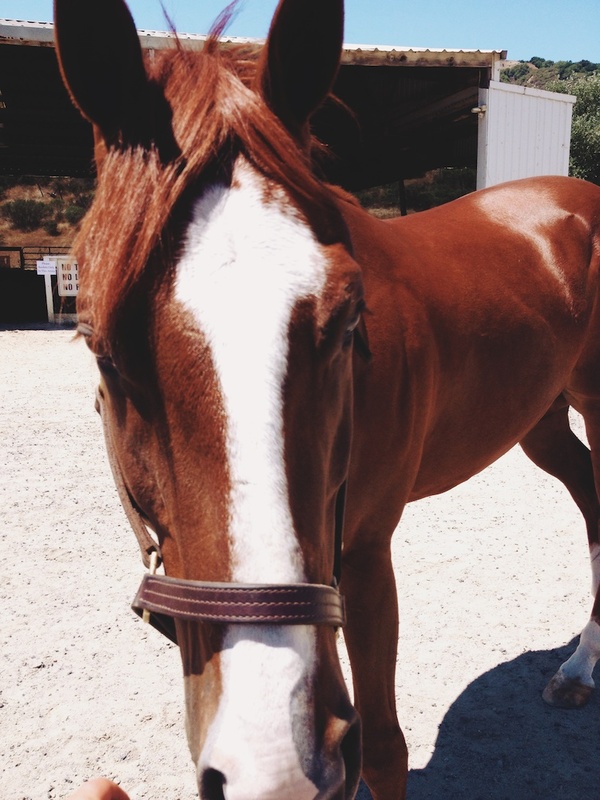 Love his painted hooves! Wilbur walks a crossrail with Kelly. Superstar! Hanging out by the flowers! He even took a bite out of one! My favorite necklace had broken a few months ago. Anyone will say that I almost never wear any jewelry but I wore this necklace every day. 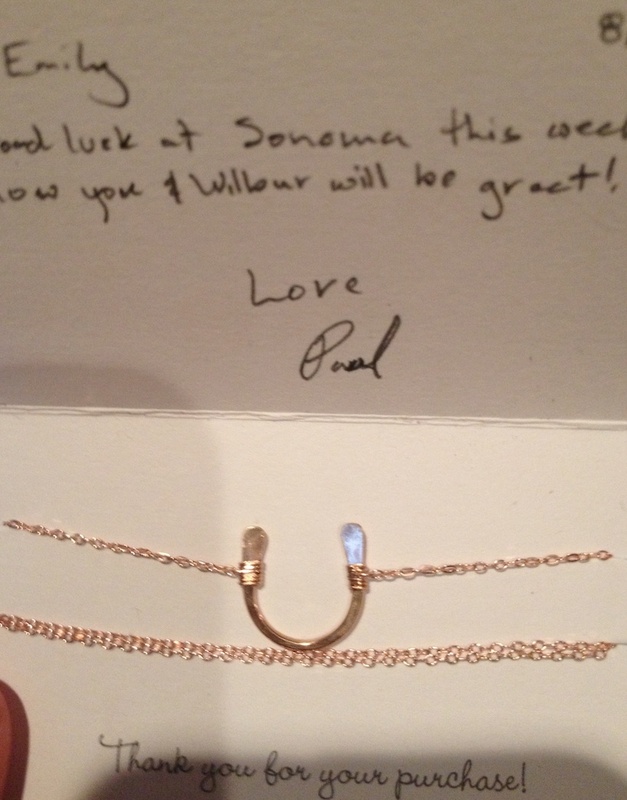 Paul was so sweet to surprise me with a new good luck charm for the show!